A typical television takes input, allows you to turn it on or off, change the channel, adjust the volume, and do all sorts of television-y things. The thing to realize is that objects come in different shapes, sizes, and usefulness. Despite the variations, objects are all the same at a high-level. They are an abstraction. They provide an easy way for you to use them without having to worry about what goes on under the covers. Even the simplest objects hide a certain level of complexity that you simply don't have to worry about. For example, it doesn't matter what goes on inside your TV, how the wires are connected, or what type of glue is used to hold everything together. Those are unnecessary details. All that you care about is that the TV does what it is told. When you want it to change the channel, the channel should change. When you adjust the volume, the volume should adjust. Everything else is just noise. Basically, think of an object as a black box. There are some predefined / documented things it does. How it does them is something you can't easily see. How it does its magic is also something you don't really care about as long as it works. We'll change that notion later when we learn to actually create the insides of an object, but let's relish this simple and happy world for now. Let's shine some more light on the various things you will be doing with objects...starting with the creation side of things! 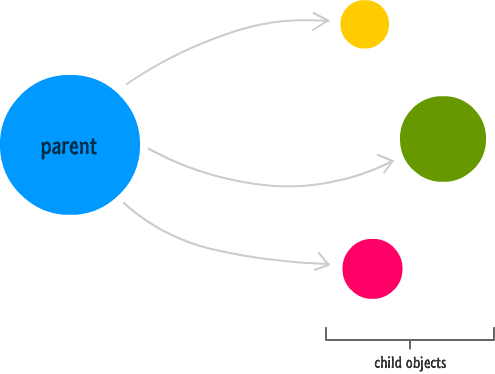 Basically you have a parent object, and you create child objects from it. The parent is not anything special like it might be in other languages. It is just an object that can do all sorts of object-y things with. You create objects using the very appropriately named Object.create function (aka a method) and passing in the name of the object you want to create your new object from. Let's assume the name of our parent object is going to be called theCircle. Creating objects is only part of the fun. Changing things on the objects is funner-er. Let's look at that next. A property is nothing more than a name associated with a value. 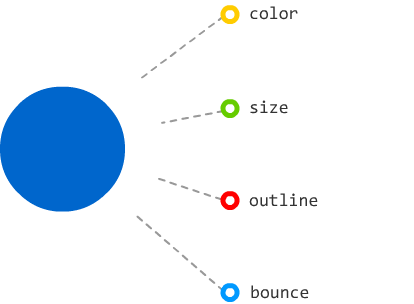 The properties defined on our theCircle object are color, size, outline, and bounce. Right now, no values have been defined, and a property is only as valuable as the value (ha!) it stores. Let's fix that. 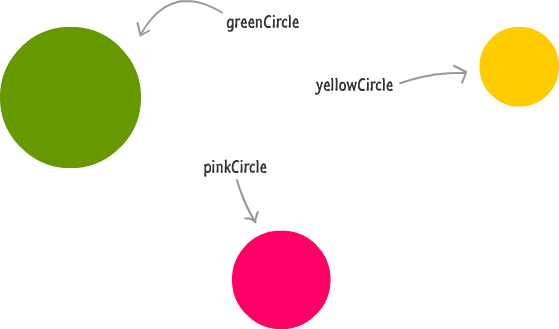 The end result is that the color property gets set on the greenCircle object. Whichever approach you use, you'll be just fine. This is all pretty straightforward, as you can see. In fact, everything you've seen so far from creating an object to setting properties shouldn't be too complicated. Before we wrap things up with our theCircle object, let's look at just one more case! This ability for objects to be self-contained mini-applications of their own is something you will rely on as you get deeper into building larger things. If this all looks a bit familiar, it should! This is just a slight variation to what you saw in the variables tutorial earlier. Now, here is the thing. 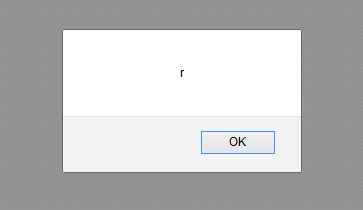 The someText variable isn't an object in its current state. This makes up a handful of data types you will find that are primitive (aka in their most simple, non-object form) in their natural environment. The moment you try to access properties on them, these data types suddenly become full blown objects. The end result is the same as working with any normal object, so I won't make fun of this behavior too much. 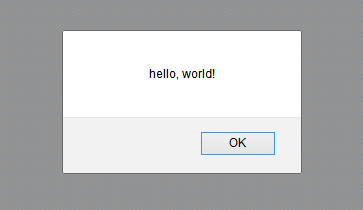 someText = new String("hello, world! "); // phew! The end result is a String object in the second and third examples. The first example results in a string primitive that gets converted into a String object the moment you try to access properties on it. As someone British (with a hint of Canadiana) might say, "Sneaky little bugger, eh?" Don't worry if all this doesn't make sense yet. Just know that you can access the String properties on all three of these approaches. The subtle (and not-so-subtle) differences among these three is something I will elaborate on in the future. We'll look at the String object in greater detail later, but for now let's focus on using a handful of properties so that we get a better feel for working with a real (and very complex) object without worrying about the behind the scenes details. A great property to start our exploration off with is the length property. What the length property does is pretty simple. 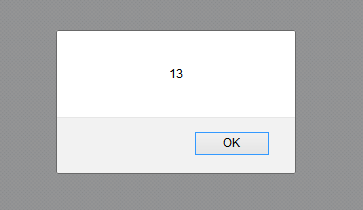 It tells you how many characters make up your string. Because I've repeated the primitive-to-object conversion that happens when you call String-like properties on our text, there should be no surprises here. The length property works as advertised. Let's do one more thing before we call it a night...or day depending on when you are reading this! Notice how I am calling toUpperCase. Because it is a function that takes no arguments, I just call it using the empty parenthesis following it. Now, here is a terminology change that you need to be aware of. Because toUpperCase is a function that is used as a property inside an object, it now has a new name. That new name is method. Many people use the function and method terminology interchangeably, so just be aware of that. They both mean the same thing. It is just that one very obviously lives off an object and the other one doesn't. Since we are already here, if you have a method that takes arguments, simply specify the arguments for them like you would for any plain ol' function. A great example of a method that takes an argument is the String object's charAt! 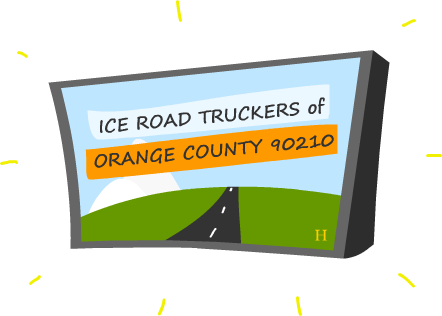 The charAt method takes a number as an argument, and that number corresponds to the index position of a character in your text. At this point, you just got a whirlwind tour of how to work with objects by using the String as a guinea pig for our (very humane!) experiments. Let's do the boring closing remarks next.